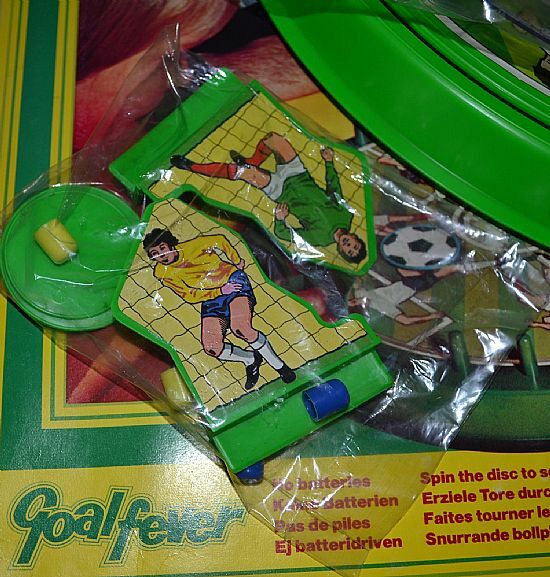 Not exactluy a fever, maybe more of a slightly sore throat. 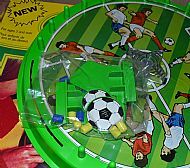 A wheel that spins and flicks a disc around until it goes into one of the goals. WOW. Usual dilemma here - it's a sealed set so do I open it or not? 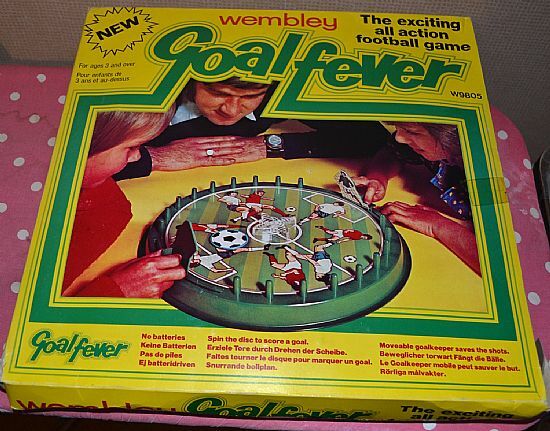 A seldom seen game by Mettoy using the Wembley brand name. 1975 vintage and very short lived as it is rubbish. 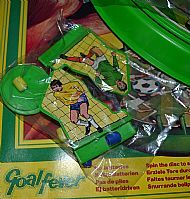 Inside the sealed bag of wonder are all the pieces - 2 keepers, 2 balls and lots of scoring nobules. 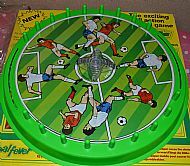 The pitch is a spinning board with clear circular top. 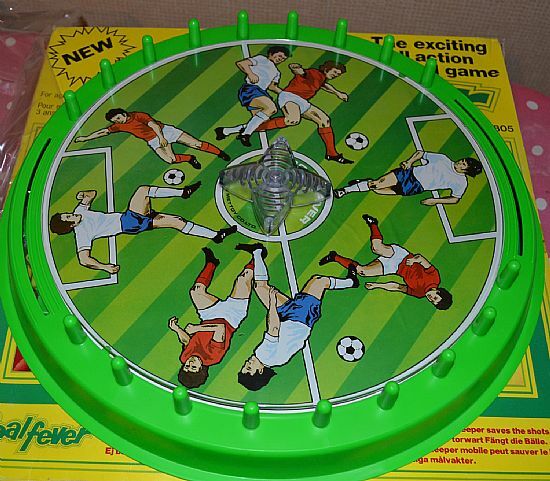 Spin it and hope that the ball scores a goal for you. 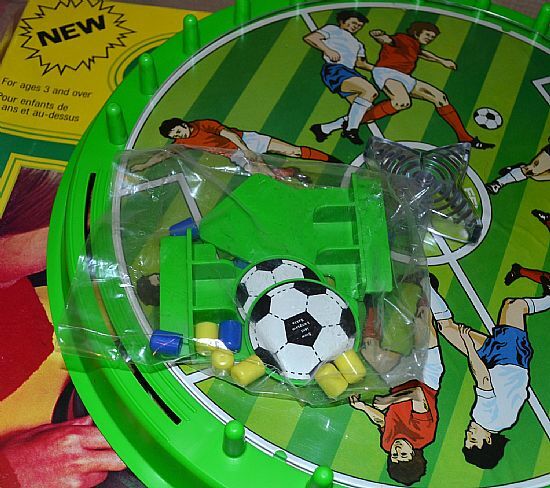 Two flat puck type discs with the classic black and white panelled ball design which should be the only football design ever allowed.